No, not fall - and DEFINITELY not the snow that we are expecting tonight - yuck! 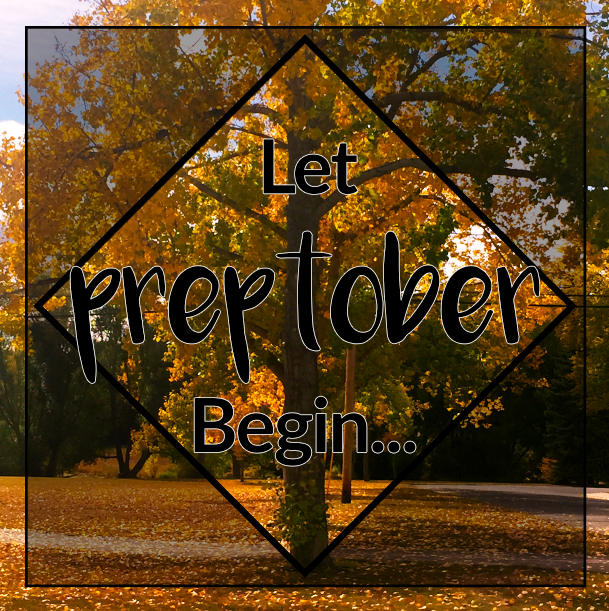 For anyone who doesn't know, Preptober is the precursor to Nanowrimo, which takes place during the month of November. For the month of October, I will be sharing my plans, organization tips, and outlining hints as I prepare to participate in Nanowrimo this year. I have some big announcements to make over the next few weeks, so stay tuned for exciting news, useful and practical hints, and as always, classic off-the-cuff banter supplied by yours truly. Get ready to dive in! Make sure to follow me on facebook, twitter and instagram so you don't miss out!